We mentioned on the iPad 2 launch day the issue a few folks where having with their data appearing on their iPad 2 from a restore done through iTunes, but no apps where showing up. If you didn’t read that post and are having the issue, you need to authorize the new iPad via iTunes or on the iPad via the App Store. 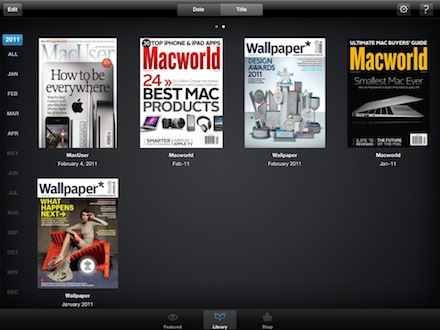 Now, several team members have mentioned that after moving from the original iPad to the iPad 2, their Zinio Magazines don’t open and their Wired purchases all show that they have to buy again. You do not have to re-buy the magazines you already did. The app just needs to make sure it knows your you. 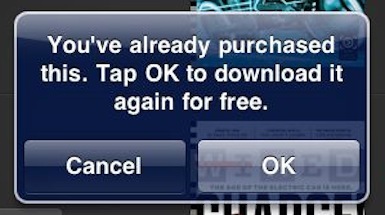 Tap on a ‘Buy’ button for any (will need to be done for each you purchased previously) you ‘own’. The usual iTunes App Store pop up will appear asking you to log in, once it authorizes the app in the background you will get the ‘you already own’ pop up. 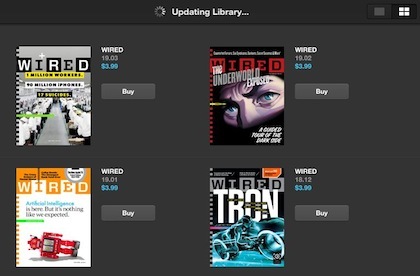 You will need to re-download each Wired magazine you purchased before. After the progress bar finishes, you will get the ‘View’ and ‘Archive’ buttons again. For magazines purchase and viewed through the Zinio Reader App, the magazines appear to still be there but when tapped will not open to read. Tap the upper left corner ‘Edit’ button. Two new buttons will appear allowing you to ‘Remove’ or ‘Restore’. You will need to select the ‘Remove’, then tap the ‘x’ on each (and every) magazine. When tapping the ‘x’, you will have the option to ‘Remove issue from device’ which is what you want to select. You will notice that as you remove the magazines, the available memory number will increase telling us that the Zinio Magazine reader app actually still had the magazine but doesn’t understand how to authorize you to read them. Once you go through removing all of your magazines, choose the ‘Restore’ button. You will be presented with all of the magazines available to your account, even those you have never downloaded/read before. Tap the ‘+’ will give you an option to ‘Restore issue on device’ and the Zinio Magazine Reader will re-download for your read for reading on your iPad.